This week’s blog post was written by Hallie Nix, dietetic intern. Thanks, Hallie, for teaching us how to power up with a healthy breakfast! One of the main goals of Choose Food is helping people look at their daily routine and make small changes to that routine in order to reach their health goals. For me, this practice of changing small habits started with my choice of a healthy breakfast. 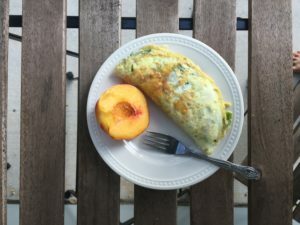 You may have heard the phrase: “breakfast is the most important meal of the day!” While food at any point in the day is important to fuel our body, I would have to agree that a healthy breakfast is super important – and often overlooked. Over the past 4 years of studying nutrition, I have shifted my breakfast routine from high sugar options to a healthy breakfast that contains high quality protein with plenty of fruits and veggies – which has helped me feel fuller longer and get the vitamins and minerals my body needs! With that said, I know that a healthy breakfast can be a tough meal to get in due to a lack of time, or just not feeling hungry. 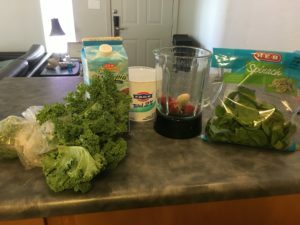 My hope in this article is to give you some examples of quick options that have been helpful for me and maybe inspire you to start looking at what small change you can make to your morning meal. 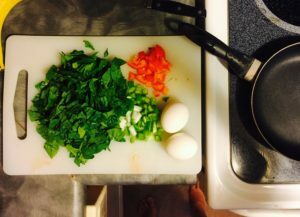 🙂 Below I have a few of my go-to recipes in the morning, and why I like them! I’ve been on a yogurt parfait kick for a while now…and I’m not sure I’ll get off it! This is a perfect on-the-go meal. This combination is Fage 2% (try this if you’re like me and most plain Greek yogurt is too tart for you! 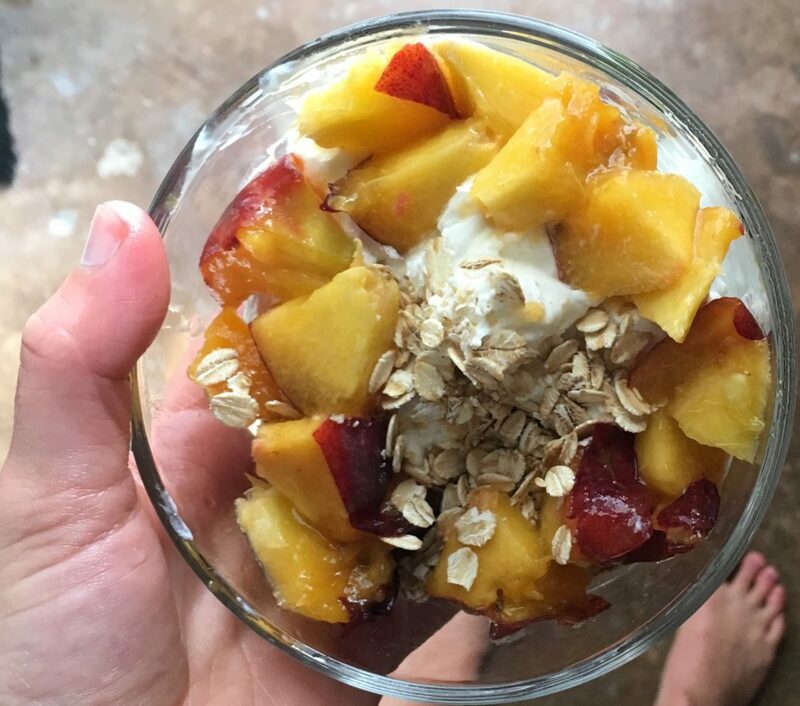 ), a ripe peach, and 1/3 cup of rolled oats. Love this because of it’s convenience and how full it keeps me until lunch time! It is a great source of high quality protein (23 grams from 1 cup of the yogurt!) while getting in a serving of fruit and whole grains! 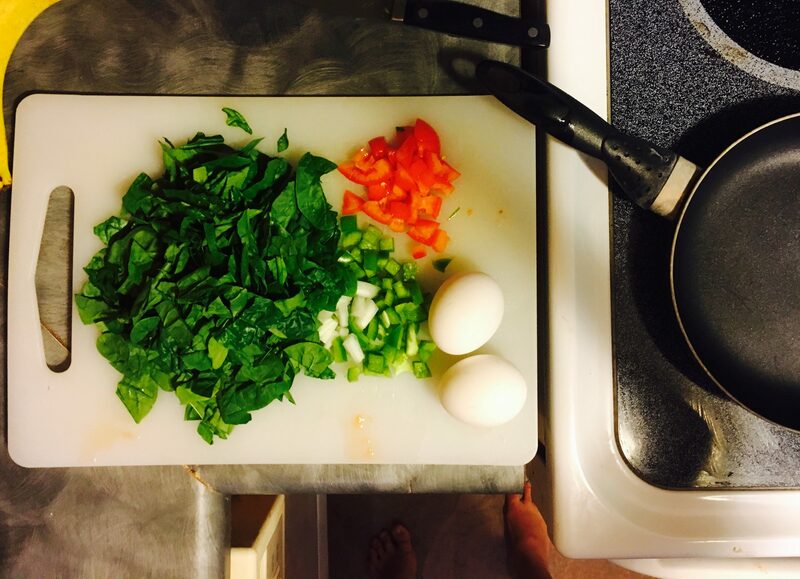 While this is on e of my favorites, it can be challenging to make an omelet on a time crunch. If I make this during the week, I usually do some prep work the night before. BUT I looooove this recipe because just LOOK AT ALL THOSE VEGGIES (1.5 servings to be exact)! Seriously, I love getting a jump-start on my veggies at breakfast! What’s also amazing is that the spinach will cook down to where it easily fits in the omelet! 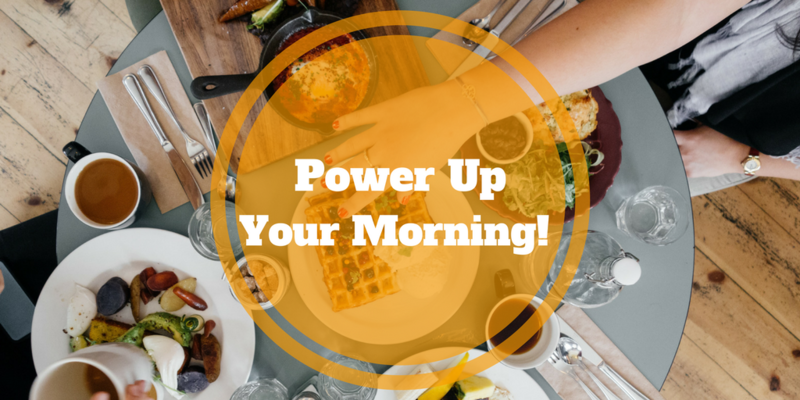 So where can you start making small changes to your routine in the morning? I hope this post has given you a few idea you can use to jump start your morning.